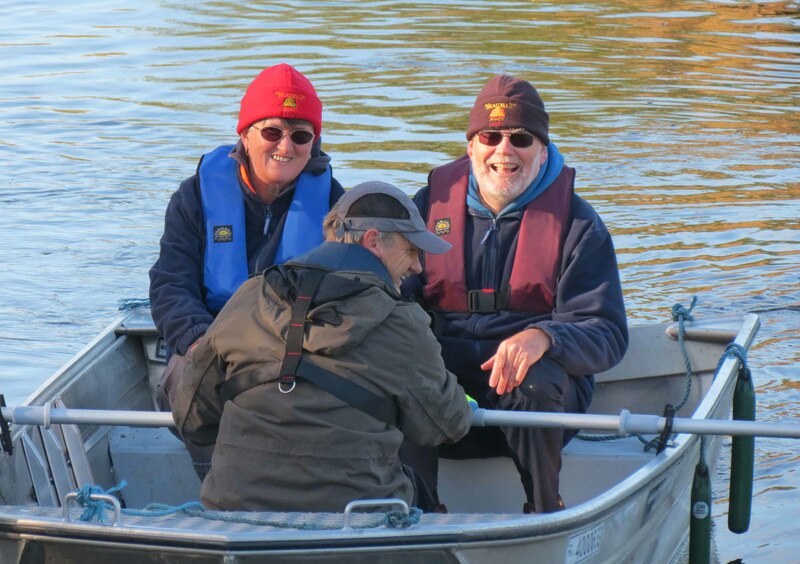 The Marina works closely with Canal & River Trust and has ‘adopted’ a mile of the canal from Potlocks Bridge to just the other side of Willington. Under Jules Aucott’s leadership, there have been towpath and wood tidies, vegetation cutbacks and bird boxes put up. 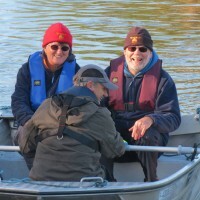 In the morning Autumnal sunshine of Saturday 28 October, C&RT’s loaned aluminium boat was expertly (!) 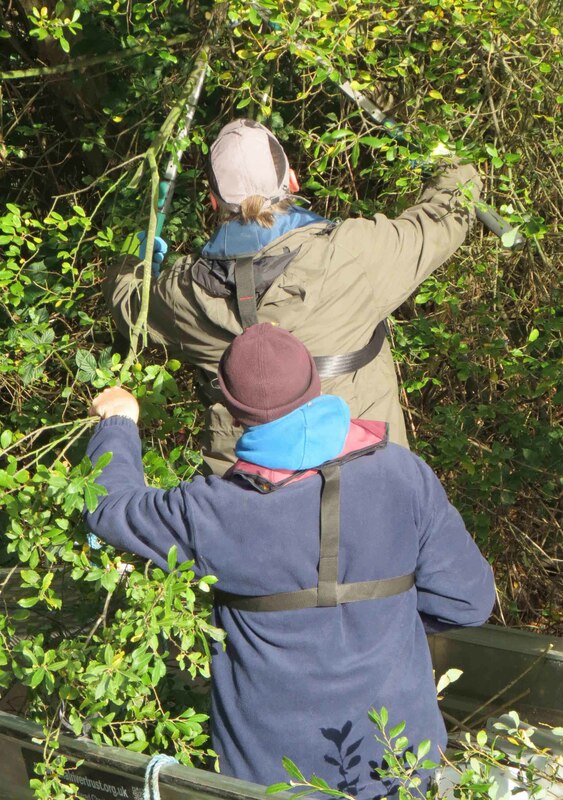 rowed, pulled and manhandled down the canal to do some offside vegetation clearance. 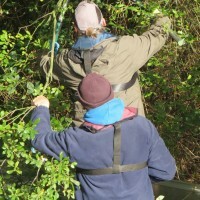 A couple of hours of hard work by seven people made a huge difference to the canal with visibility markedly improved and overhanging branches cut back to a sensible length. The workers were cheered and applauded by the many passing boaters, walkers, families and cyclists. Stuart Collins, C&RT Volunteer Co-Ordinator for Central Shires, came to see how we were getting on and was very pleased with the result.